Public interest in eSports has boomed in recent years. More people than ever before are attending eSports tournaments and events, as fans and competitors, as well as tuning into the latest action on game streaming sites like Twitch and YouTube Gaming. A big factor in eSports’ rise in popularity can be placed down to Major League Gaming (MLG), the world’s largest professional eSports organization. Major League Gaming is responsible for organizing professional eSports tournaments throughout the US and Canada across popular console and PC games. There’s a very wide range of games currently on the Major League Gaming roster, as well as some stellar big-money events. If you’re new to the eSports scene and are feeling swamped at the sheer amount of Major League Gaming betting options available to you, don’t worry. Help is at hand. We have rounded up the biggest Major League Gaming events and games for you. Check out the roundup below to see MLG’s biggest and best events, as well as notable eSports teams to watch out for. The Major League Gaming roster is expansive, taking in games from various genres, including first-person shooters, fighting games and sports games. However, there are some games which command much more attention than others. Most events that Major League Gaming organizes take place within its MLG Pro Series circuit. Here are some of the top games that Major League Gaming run major events and competitions in. Remember that betting on all of these titles and more is available at Master Mazuma. Call of Duty is a classic first-person shooter series. MLG organizes two of the biggest Call of Duty gaming events in the world: The Call of Duty World Championship and The Call of Duty World League. Teams that are successful in the World League progress onto the annual World Championships, where there are huge prizes at stake. If you are looking for a great Major League betting option, betting on matches taking place within these two competitions is a great idea. Events are exciting and fiercely contested, attracting some of the most famous gaming talent in the world. We offer the best odds on all Call of Duty events and competitions at Master Mazuma. This is another heavy hitter when it comes to Major League Gaming betting. 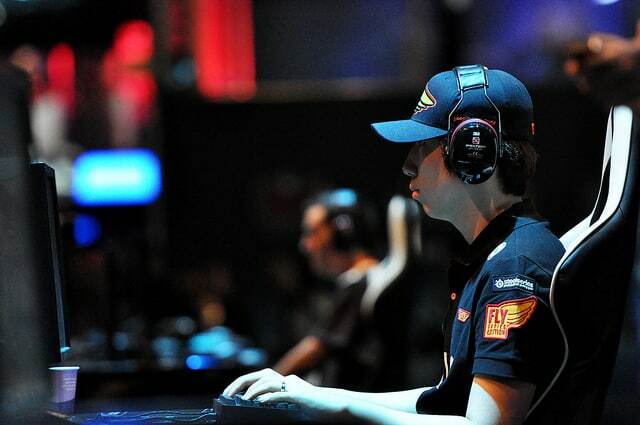 Counter-Strike: Global Offensive is one of the biggest games in eSports scene. MLG has previously organized massive national tournaments. They’re the masterminds behind the MLG CS:GO Major Championship – one of the highest tournaments that professional Counter-Strike players compete in. In 2016, the MLG CS:GO Major Championship climaxed at Nationwide Arena, Colombus, with a $1,000,000 prize pool. Another first person shooter that is a good candidate for any Major League Gaming betting that you want to do. MLG have put a significant amount of time and resources into holding Halo tournaments. In fact, MLG was responsible for the first televised eSports event, with USA Network covering the MLG Halo 2 Pro Circuit in 2006 and 2007. The game has continued to grow in popularity since then. MLG is responsible for helping to organize the Halo World Championships, which have proven extremely popular in 2016 and 2017, attracting substantial media attention, even from mainstream sources and brands such as ESPN and Microsoft. It’s easy to bet on the latest Halo events with Master Mazuma. MLG events attract players at the absolute peak of their game. If you’re wondering who to wager on, you can’t go wrong by betting on one of the following teams. Fnatic: One of the most successful eSports teams in the world. They have been extremely successful in Counter-Strike: Global Offensive tournaments in recent years, claiming nearly $2,000,000 in prizes. Counter Logic Gaming: Winners of the 2016 Halo World Championship, claiming $1,000,000 in prize money. They have also been successful in fielding teams within Counter-Strike: Global Offensive events. Splyce: Splyce is one of the most successful Call of Duty teams out there, winning multiple tournaments including the Call of Duty World League 2016. They are one of the dominant teams across major Call of Duty titles. They also field Halo and Counter Strike teams, among others. You can bet on all of your favorite eSports teams, including those mentioned above, at Master Mazuma. We offer competitive betting odds on all Major League Gaming events. The variety of bets offered will differ on an event by event and game by game basis. However, you will definitely be able to stake on overall tournament winners, as well as individual match winners. In certain games, we may offer more complex bets, such as predictions for the player with the highest score or most kills in a round. The best way to see all of the odds and markets we have on offer is to check out our dedicated page for each individual event. This means you’ll get the best prices and you’ll be able to see all the relevant bets that we have on offer. The beauty of betting on Major League Gaming events is that they often take place across an extended period of time. The MLG Pro Series Circuit is played throughout the year, giving eSports fans who want to wager on games the chance to track the performance of teams throughout the season. This can help give you an edge and make a more informed decision on which Major League Gaming bets you should make. Other times, there may be some MLG events that take place in just a day or over a weekend, such MLG Vegas. Bet with us and make your Major League Gaming betting bankroll go even further. Our exclusive welcome bonus offer doubles your deposit with us. If you deposit $5, you get $10 to play with. So whether you’re well experienced with eSports bets or just starting out, Master Mazuma gives you more bang for your buck.